RV winter camping can be fun and you shouldn’t store your RV during winter, but winterize it for a wonderful experience through the snow. If you’re in, you should be aware that the freezing water lines are the main problem related to recreational vehicles. 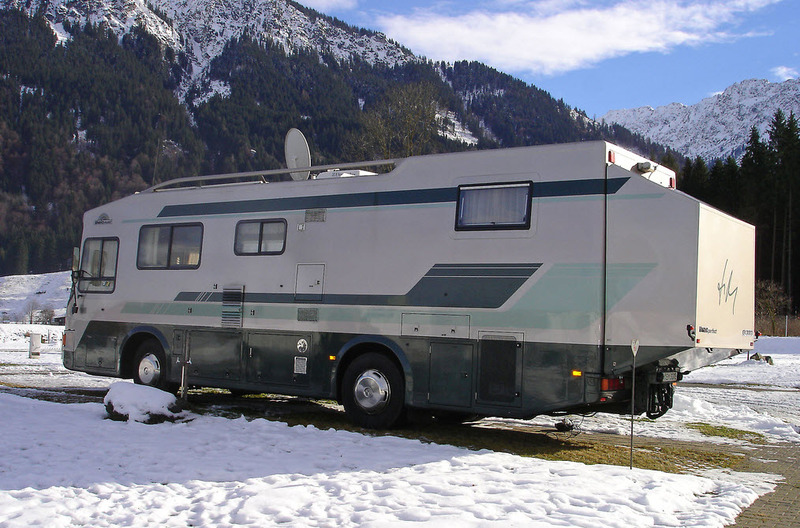 Start with checking the user manual of your camper to see what are the winter RV tips for your model. When your RV comes with a heater, you should check it before you’re on the move. The water system needs to be winterized, especially if you’re going to go in some colder climate. Freezing water may break seals, burst pipes, leading to a big whole in your wallet later on. 2 What’s the best way to drain the RV’s water lines? 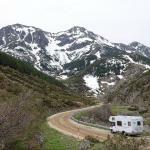 3 What are things you should know about when winter camping with your RV? 4 You’re winter camping. How to stay warm? 2 or 3 gallons of non-toxic antifreeze, especially formulated for RVs. It’s easy to find in any RV supply store. The size of your RV and the amount of plumbing you need to flush count for the amount of antifreeze you’re going to need. Holding tank cleaning solution and a cleaning wand to use on holding tanks. A bag of ice cubes or some laundry detergent should be within reach as well. You may ease up the process by using a 30-50psi Air compressor. You may also need a blowout plug for the water inlet. You should start with reading the manual really carefully. You need to know about the warnings and instructions on how to drain the water lines or how to add antifreeze and so much more. The RVs are various so may have different ways for winterizing. No matter the model, you should drain all of the holding tanks and plumbing into a sewer system. The hot water tank should have clean water, so drain it somewhere safe. It’s important not to create any mud right under your RV’s as it gets quite slippery. What’s the best way to drain the RV’s water lines? You need to connect the blowout plug to the city water inlet if you’re planning to blow the water out of the plumbing system. Connect your air compressor afterwards. Try to stay close to 30psi and blow air through the lines. Open each faucet/valve, until everything is all clear. Close the last valve and keep in mind to disconnect the compressor. Remove the blowout plug so that you remove any water from water traps or low level plumbing. This is important for reducing the risk for freezing when winter camping. If you’re not going to camp anywhere with temperature dropping below freezing, you shouldn’t stress about adding antifreeze to the system. Play it safe though and remember that any water left in the system may freeze, expand and ruin the entire plumbing system. Cleaning the black and gray tanks can be done in several ways. You may use a wand and a cleaning solution that is formulated for the RV holding tanks. You’re going to have to scrub the inside of the tanks in this case. Another popular method is to add a cup of laundry detergent into each tank, filling it with ten gallons of water, give or take. You should also put the ice cubes in the toilet, flushing into the black tank. Start the engine and drive about 20 miles, going up and down the hills and around curves too, as you want the ice cubes to do all the scrubbing. You want to save filling so it’s better to install a hot water heater bypass kit. Start with the water valve that is the closest to the pump and open both cold and hot water valves. Pay attention to the antifreeze. Take a look at the outside water inlet connection. You should remove the filter screen, pushing and holding the valve open until you notice antifreeze. Replace the filter afterwards. Remember to close all faucets. 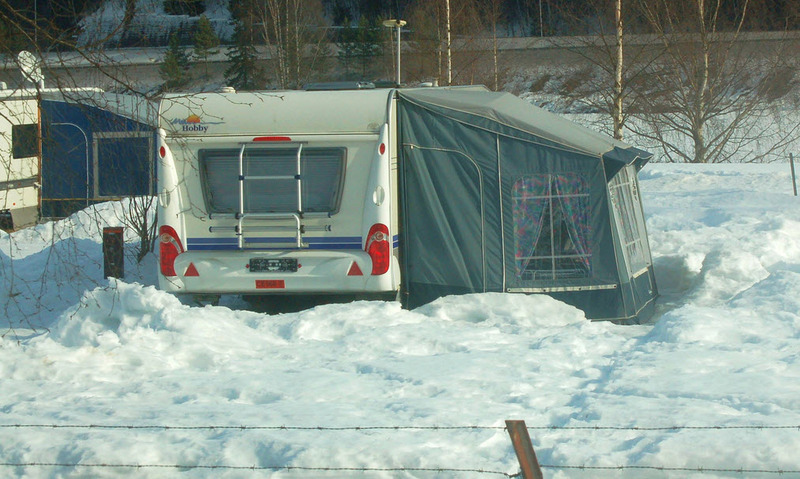 What are things you should know about when winter camping with your RV? Choosing the right gear for winter camping is fundamental. You cannot do it without a warm sleeping bag, a sturdy tent or a reliable stove that takes the cold temperatures. Gather the info you need about wearing the warm clothing. You should do your homework and prepare midweight base layers, puffy jacket and fleece pants. A waterproof jacket and pants are a must as well. Warm socks, waterproof gloves and even sunglasses are the mandatory additions when winter camping. Frostbites and hypothermia may happen while camping in the winter. 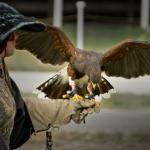 Make sure you prevent their occurrence and learn what to do for minimizing their effects. Get inform about what you need to eat during winter camping. Hydration and nutrition keep your metabolism running, which means more warmth for your body. Go with hot and nutritious breakfast and dinners and choose a healthy snack for lunch. Staying hydrated at all-time also means lower risk for you to get cold. Look and ask around the experienced campers about what it’s like when winter camping. The more you know about this sort of camping, the higher the chance for you to actually enjoy it from the very first time. You’re winter camping. How to stay warm? Even if you want to bring foam pad for staying warm while sleeping, you should consider using it also when sitting or standing for cooking. Staying warm and dry is fundamental for a successful winter camping. Now that your tent is installed, you shouldn’t leave any floor space empty as it’s going to be difficult to warm up all of that space. You should store your backpack inside the tent, but keep anything sharp away as it may tear your tent. Place the gear around you on the floor as you want to create some sort of insulation for the bare ground. Getting cold is risky while winter camping, so lay down all waterproof layers between the two sleeping pads that you should have on you. You can never be too warm when sleeping on cold ground. You may create a small heater that is going to last for a good amount of time. Pour a liter of boiling water into your durable water bottle (it’s better not to use a metal one as it may get hot, burning your hands). Make sure the lid is sealed tightly so that it doesn’t leak when you put it in your sleeping bad. You can place it between your legs or close to your belly for faster and better results. Do it carefully so that you don’t burn yourself. When you’re eating, your body is going to digest food, so eat something if you’re feeling cold. A little and nutritious snack before bed is going to help your metabolism. There’s nothing better than a sweet tooth nearby in the middle of the night when you’re feeling cold. It’s no picnic to crawl into a cool sleeping bag. You can change all that by doing 50 (go nuts!) jumping jags or jogging in place. Have a chase game with your friends- it’s both useful and fun! Once you feel all warmed up, get into your sleeping bag and call it the night. This isn’t just for sanitary reasons. Your body oils, sweat and dirt may actually reduce the insulating ability of your sleeping bag. Don’t forget to put on clean long underwear and socks when you go to sleep. Don’t leave your boots outside, even if you have smelly feet. Put them inside the tent as they’re going to be a bit warmer in the morning. If they also come with removable liners, you should maintain the liners warm. Throw them in your sleeping bag for that. You can do the same with your boot insoles and your socks. Now that we’re on it, keep in mind that when your bladder is empty, your body may use the left energy for something else- like keeping you warm. You definitely don’t want to go no.1 in the middle of the night, so use a pee bottle or a pee funnel for emptying your bladder. When you go winter camping, it’s only a matter of time until your socks or gloves get wet. You may dry them by placing them on top of you base layer, in your armpits or on your shoulders. You can also tuck them into your pants waistband and let your body heat do all the work. Cold temps are bad for the battery power. It’s better to stow your electronics (cell phone, GPS, extra batteries or headlamp) when you’re not using them. Place them in your jacket’s pockets or in your sleeping bag, so that your body heat keeps them warm. Did you know that water freezes from the top down? This is why stowing bottles upside down actually makes sense. It’s quite unlikely for the bottle tops to freeze shut. See that the bottle lids are tightly sealed, with no risk for leaking later on. Winter nights aren’t short so you need to check of the cell phone batteries, GPS and headlamp batteries are fully charged or new. Take some extras with you when winter camping. It’s better to go with lithium batteries as they do it better in cold weather. However, they may be a bit too much for the headlamps. Even if an alkaline battery works with pretty much any device out there, it drains faster so choose wisely. Check out https://rvside.com/best-rv-deep-cycle-battery-reviews/ for a starting point on battery advice. Also, find more useful RV accessories at bestnetreview. On top of everything else, remember that you also need to stay safe while winter camping. Secure or put away anything that may be blown away or buried by snow. Don’t forget about your skis or snowshoes so prop them upright. Put in a secure place, within reach, essential things like shovel, water bottles or your camping stove. You still want to be able to use them the next day.